With a growing number of organizations investing in highly efficient, streamlined business operations to combat the challenges posed by poorly optimized resources and assets resulting in less productive workflows, the demand for indoor positioning and RTLS (real-time location system) will remain on a constant high. The indoor positioning and RTLS market is likely to witness the emergence of a host of large-scale product rollouts that zoom in the focus on high precision and broad-range performance. While a number of new players are keen to enter indoor positioning and RTLS market, increasing emphasis on technology interoperability will remain a factor of differentiation for established players. 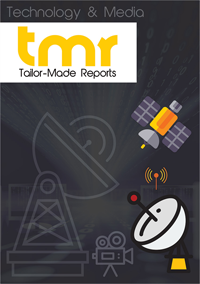 Strategic partnerships are also projected to trend the competitive landscape of global indoor positioning and RTLS market. Recently, The Bluetooth SIG (Special Interest Group) announced the introduction of an innovative direction-finding feature that reportedly has commendable potential to boost the locating performance of Bluetooth enabled indoor positioning and RTLS. While Bluetooth positioning systems are currently delivering meter-level locating accuracy, the new direction-finding feature is extending the accuracy to the centimeter level. As a global giant in providing location platform and mapping services, HERE Technologies has collaboratively innovated an integrated real-time positioning solution, with Fathom Systems. In addition to pinpoint accuracy, this joint solution is claimed to enable stakeholders in the transportation and logistics realm to switch from the stage-to-gate process of tracking to real-time positioning. Elico, based in India, recently launched the third-gen KIO RTLS that has been updated with a set of new devices and all new features. A few of the KIO RTLS features that contribute to the combination of excellent user experience and superior quality indoor positioning include universal tags that are shrunk twofold, improved and high-accuracy tracking capabilities, Wi-Fi and Ethernet connectivity for temporary public venues, and ultra wideband (UWB) range. As businesses are prioritizing streamlined productivity at reduced costs, it is more likely that the significance of accurate, actionable, and insightful data will surge. This is cited as a predominant factor boosting revenue growth of the indoor positioning and RTLS market. The growing urge of brands to deliver improving customer experience in form of real-time personalized insights also points to the widening scope of rapid penetration of indoor positioning and RTLS. Strong applicability across a host of use cases including smart buildings and infrastructure, long-term healthcare, warehousing, data centers, hospitality, retail, manufacturing, sports, and livestock management is projected to provide an impetus to the growth of indoor positioning and RTLS market in coming years. With soaring acceptance for IoT, companies are more likely to invest in the deployment of indoor positioning and RTLS with an objective to craft superior customer experience. Fostering large-scale deployments of indoor positioning and RTLS remain a significant factor sustaining demand for indoor positioning and RTLS among businesses. Booming practices of interoperability of technologies such as BLE (Bluetooth low energy) and UWB, or BLE and GPS is another strong factor elevating the prospects of indoor positioning and RTLS market. Smartphone apps are extensively using iBeacon at present, for both indoor and outdoor positioning. However, the constant quest for higher precision and lower positioning latency has already started to make room for superior alternatives. For more precise locating demands and the growing need for more frequent updates on real-time positioning have led to the emergence of UWB popular among companies, predominantly businesses that deal with robotics, sensory data transmission, and warehousing. A paradigm shift from iBeacons to UWB is quite visible to be approaching in coming years, which is likely to be an important trend in the indoor positioning and RTLS market. Expensive price point associated with UWB usage may however remain a challenge for SMEs.